Date.com was created in 1997 on Valentine's Dayno less and has been helping singles find their perfect date ever since. The site prides itself with 8 million members and that number grows every day, making it an easy and fun experience for singles looking for both relationships and casual dates. This prominent dating site offers a clean and intuitive design and advanced search engine, and it is clear why this site is so popular with singles worldwide. Date.com offers use of video chat and instant messaging through the website. You have the ability to send messages for free on the website. If you have a photo uploaded, you can send a mega wink, or a message to a lot of members at one time. Another feature on the website is the Matches section, similar to Tinder where you choose if you would like to meet up with the offered singles by choosing yes, no or maybe. When building your profile, you have the option to personalize it. The In My Own Words section asks about your preferences such as your favorite places to take a date, fun and interesting activities to do in the city and so on. The sign up process is very simple and straightforward and won’t take you more than 2 minutes to complete. The first panel will ask for basic information such as your gender, partner preference, location, age range, email address andusername. The next panel will cover your appearance, faith, occupation, education, whether your smoke or drink, and a description of your ideal date. Once you are done you are good to go! 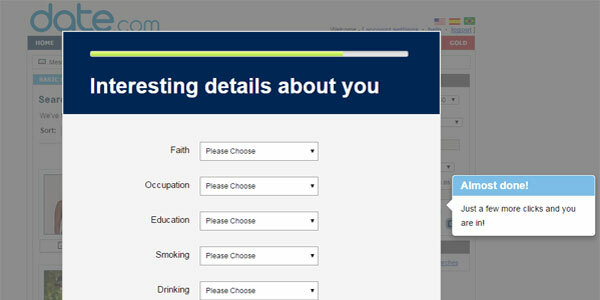 While Date.com doesn’t offer any safety features other than limit the information given on the website, they do have a page to help users ensure their online dating safety. They recommend to never share your email, home address, phone number or any other identifying information on your profile and private communications with other members. Singles on Date.com are provided with free membership, however, access to features is limited. So if you want to get the best out of Date.com, buying a membership is highly recommended. The memberships are all the same but if you pay for more at a time or sign up for a longer membership term, you get a discount. A 6 month membership will cost you $16.66 per month. If you think a more short term membership is more fitting for you then you have the 3 month package at $23.32 monthly or the one month membership for $34.95. For a yearly membership, you pay only $11.66 per month. You can pay for a membership in a variety of ways such as PayPal, credit card, or even a check. 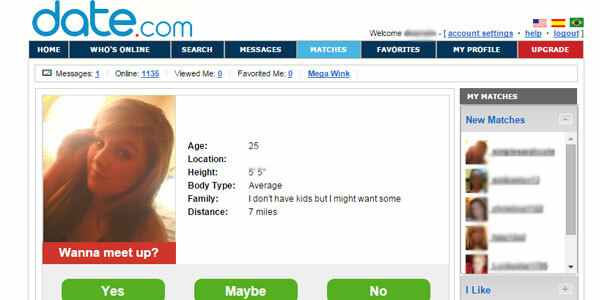 Date.com is an intuitive and easy site to use. The clean interface is very straightforward. 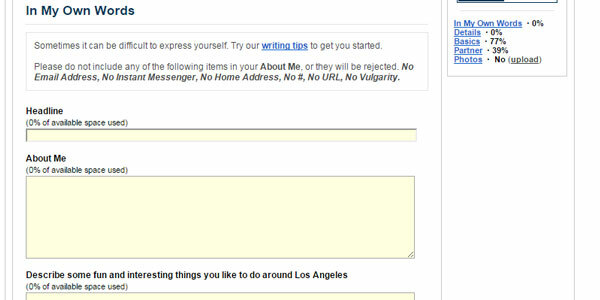 A great little feature is that the site proves you with helpful prompts such as writing tips page when filling out your profile to help in case you have difficulty expressing yourself. 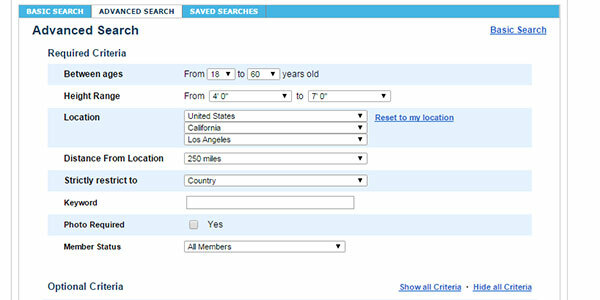 Singles on Date.com have two options when searching for matches which are divided by basic and advanced search. The basic search provides users to look for people based on location, distance, and a keyword. The advanced search is much more extensive. The search criteria ranges from body type, horoscope and faith to education, smoking and drinking habits to income and education, widening the chances of find exactly what you are looking for. When it comes down to it, Date.com provides many factors that make this a great dating site. The biggest advantage you have is that with the large amount of userson the site of this scale, it provides variety. The features and search options offered are extensive and easy to use. If this is not the ideal dating website you have been looking for, take a look at our Match.com review – a top-rated site by singles.